Many Jewish sleepaway camps have some kind of counselor-in-training, or “CIT” program. Camps create CIT programs as a way to train high school kids how to be counselors when they reach the appropriate staff age. CITs have the opportunity to work with younger campers and experience a more hands-on and interactive kind of training. It is often found to be one of the most enjoyable, useful, and memorable summers for campers. These kinds of programs can be essential in a camper’s life. They wear two different hats: one as a camper and one as a leader. It is a very transitional time. 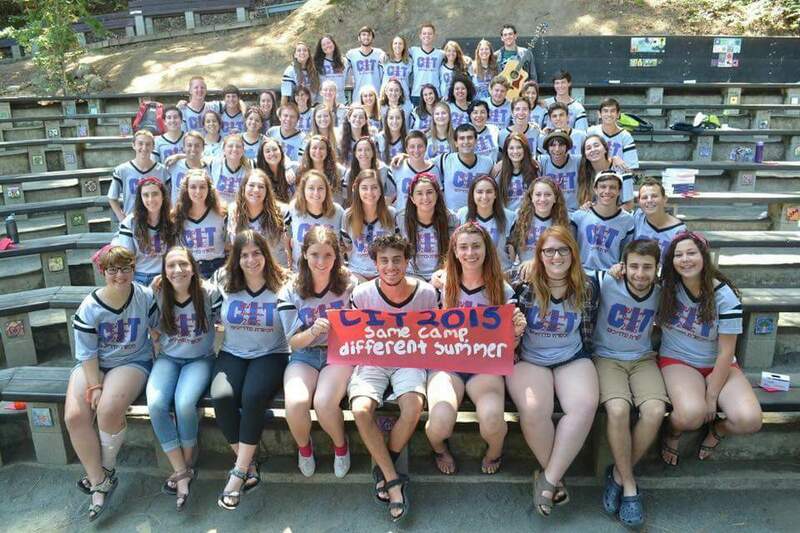 Depending on the age of the program, some CITs are experiencing a lot of “last times”: last time being a camper, last year in high school, and their last year as a legal minor. CITs often do not realize the significance of their time in this program because they’re too distracted by how much fun they’re having and how much they are learning. The CIT program is beneficial to the camp itself. CITs get a great taste of being a counselor, and it makes them want to come back to camp the next summer. They benefit from the unique opportunity to learn what kind of leadership skills they possess and then put that into action. Similarly, religious schools have mad’richim programs in which post b’nei mitz’vah students are placed in a class of younger students and assist the teacher, manage the classroom, and learn the ins and outs of teaching religious school. These students also face a rather large transitional period. They add extra coverage, and can be a pipeline for new teachers. They, too, may experience a lot of “lasts” in their religious school experience. But How Do the Children benefit? “Full-fledged” students get just as much out of these programs as the CITs do. This “cool, older kid” is there to hang out with them every day. Programs and other kinds of sessions magically become so much cooler when a CIT is participating. One of the greatest teaching methods is to model what you are trying to teach. In this case, CITs teach their campers how to engage in camp activities. Mad’richim can serve the same exact purpose. The religious school classroom and summer camp are often looked at by students as two entirely different things. However, if you take a lesson plan on Jewish values and compare it to an evening camp program about Jewish values, you will find that participants often learn the same thing. The only difference is the environment in which they absorb the content. Mad’richim can be one of the most important parts of a child’s religious school experience. They have the opportunity to bring camp into the classroom. Regardless of whether or not the Mad’richim were ever an actual camper at a camp, they know what it is like to be a student sitting in a classroom. So, ask yourself this: how can we make sure that mad’richim bring the same kind of camp experience into the classroom?